Wendy Stone enters her sixth season as Purple Eagles’ head women’s lacrosse coach. 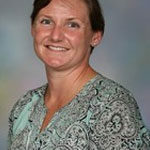 Prior to her time in Niagara, Stone spent three years at Longwood University in Farmville, Va.— two seasons as an assistant coach and one season as an interim head coach. Stone has also been a member of the U.S. Women’s National Team Staff since 2009, serving in the role of General Manager. She was on staff for the team that won the World Championship in Prague in 2009 and the gold medal in Oshawa, Ontario in 2013, and the US Team that won the 2017 FIL World Cup in Guilford, England and the 2017 International World Games Gold Medal.